Does your home roof gutters need ongoing maintenance and cleaning? 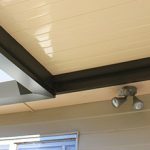 Find a solution today by calling the guttering Sydney experts – Easy Fall Guttering for a solution. If your gutters are old and rusted, it may already need to be replaced. Our gutter experts can provide effective gutter products and guttering systems to ensure that your home is always protected from leaks and other guttering issues at all times. Request a FREE Quote! Call us today on 1800 897 444! Regularly clean your gutters by scooping out leaves, twigs and debris using a trowel. Don’t forget to wear gloves to protect your skin. Remove and clean the downspout strainers (if applicable). Make sure that the downspout is not blocked. Wash down the gutters using a hose. This way you can drain remaining debris down to the downpipes. If you have leaf guards installed, it will be easy to hose down leaves and debris from the gutters. Leaf guards prevent any debris buildup that can cause blockage. Is it necessary to clean my gutters? With standard gutter types, regular gutter cleaning and maintenance is required. Dirt build-up is a major issue and meshes allow for the dirt to accumulate even more, while at the same time making cleaning gutters very difficult. Now, to save money, maintaining and repairing gutters yourself may seem like the way to go. 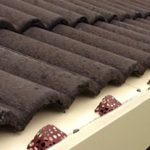 With a variety of gutter seal products such as paints, sprays, patches and all other kinds of sealants available in the market, you might be inclined to do it on your own. But there are dangers to this. Whenever you take a step to climb a ladder and clean out your gutter, you are putting yourself at risk for a possible fall. When issues arise, turn to EASY FALL™ Guttering, a reputable gutter company based in Sydney. Our customer-focused gutters Sydney team will do everything they can to help you ensure that you have a strong and reliable gutter system in place. We have designed the EASY FALL™ Guttering System equipped with multiple leaf guards to cater to the needs of various types of homes. With its versatile functions, you can rely on the action of the sun’s rays and the wind to blow away most of the leaves as they dry out. Depending on the aspect of your house and the vicinity of trees, the occasional removal of leaves with a leaf blower or hose-off may be required. During heavy rainfall, water flushes through the system, preventing a build-up of dirt and debris. 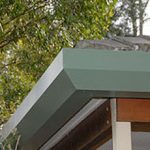 The COLORBOND® Steel outer shell means no more rust treatments or painting! At EASY FALL™, we truly provide the lowest gutter maintenance solution! At Easy Fall Guttering, we provide guttering solutions you can rely on! Replace your old high-maintenance gutters today!